Rev. Barry Dixon has been married for 40 years. He has two children and three grandchildren. He obtained his engineering degree at the National Association of Power Engineers. His Bachelor Degree in Psychology is from the University of Indianapolis. 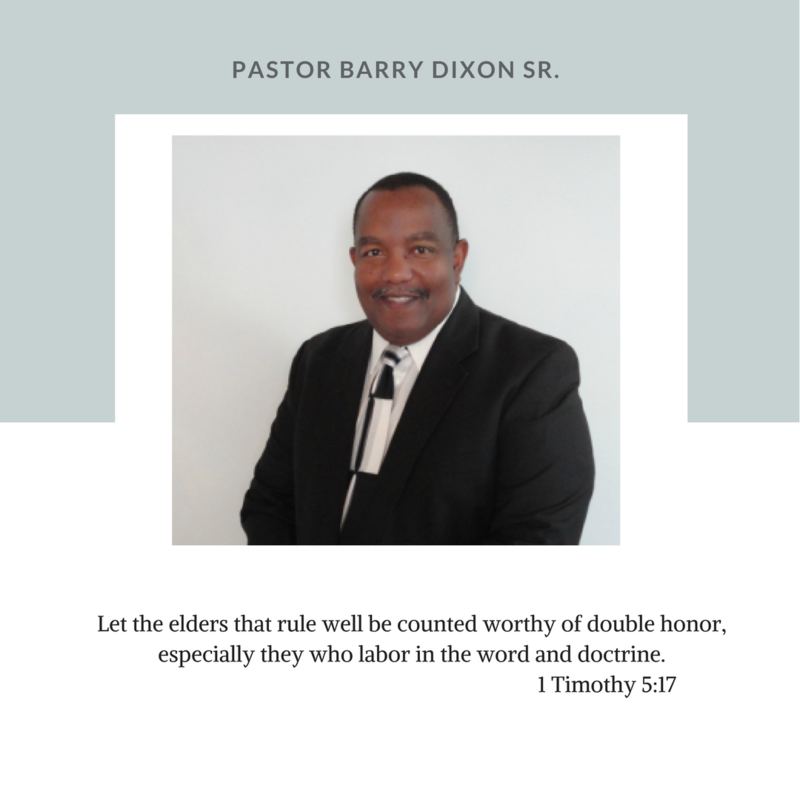 Pastor Dixon received his Masters Degree in Ministry from the Indiana Wesleyan Seminary and has an Honorary Doctorate Degree from the American Fellowship Church. He publicly acknowledged his calling to preach the gospel in 1996. He was licensed to preach on April 20, 1997. He received his Certificate of Ordination on May 30, 1999, at the Logan Street Missionary Baptist Church. In May of 1999, he was appointed Interim Pastor of the Logan Street Missionary Baptist Church in Batavia, Illinois, where he served until December of 2000. In March of 2001 he relocated to Indianapolis, Indiana taking advantage of a new employment opportunity with the State of Indiana. He transferred his licensed to the C.M.E Church in July of 2001, and received his Elder’s license. In December of 2001, he became a member of the Greater Indianapolis Ministerial Alliance and was involved in numerous community service projects. 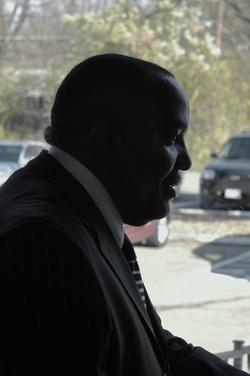 He participates in both the National Brotherhood and the Indianapolis Church Federation. He is also a member of the Indianapolis Non-Denominational Alliance and the N.A.A.C.P. He was actively involved in the prison ministry at the Chicago Cook County Dept. of Correctional Facility in the State of Illinois, where he ministered to both men and women. He was also the director of the Youth Ministry where he taught bible study, Sunday school and coordinated the youth activities. He was called to serve as Pastor of the Calvary Family Church in October of 2009, where he continues to joyfully serve. His love and dedication to God and to people is ongoing and his desire is to preach the gospel as providence may afford him opportunity. He prays that the Great head of the Church will continue to endow him with grace and crown his labors with abundant success.